In the Midwest Winter seems to be the designated season for highly anticipated Imperial IPA releases—Bell’s Hopslam, Great Lakes Chillwave, and Tröegs Nugget Nectar (this year released in cans) all come out in January and February. While those are all excellent beers I’m here to tell you about a very special Imperial IPA that is only days away from wreaking havoc on the palates of Central Ohio hopheads—Hoof Hearted’s Dragonsaddle Triple IPA. Though small in size, Hoof Hearted has gained a cult following for their superb hop forward beers like Musk of the Minotaur IPA, which beat out beers from all over Ohio to be crowned King of Ohio IPAs, and South of Eleven Double IPA, which made my list of the top 10 Central Ohio beers of 2014. 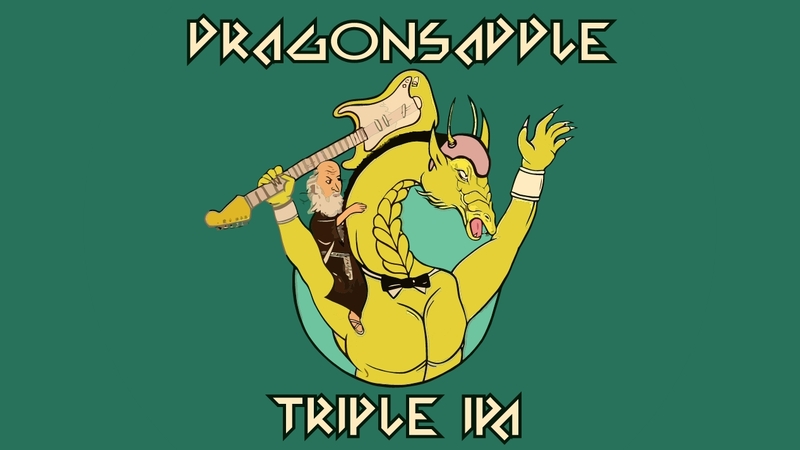 Dragonsaddle was Dry Hopped with all the “stud” hops Simcoe, Citra, Mosiac, & Nelson Sauvin as well as a blend of both Kenny Loggins and Michael McDonald’s beard trimmings. … It’s by far our hop juiciest beer we’ve made to date. If you’ve not spent any time on Hoof Hearted’s Facebook page the references to Loggins and McDonald might seem confusing, but don’t be alarmed Trevor assures me that no washed up 80’s era crooners were harmed in the making of this beer. Now that I’ve got you worked into a lupulin deprived frenzy, let me give you some details of times and places where you can ride the dragon. Ground zero for the Dragonsaddle release is Hale’s Ales Kitchen in Mill Run (3641 Fishinger Blvd, Hilliard, OH 43026) at 7 pm this Friday, January 30 where the first keg of Draggonsaddle will be tapped. If Draggonsaddle doesn’t satiate your lust for fruit there will also be a firkin of Musk of the Minotaur with whole leaf city hops, fresh pineapple chunks, and mango nectar. Dragonsaddle, but not pineapple mango Musk, will also be available at Growl! in Clintonville, The Ohio Taproom in Grandview, and both Daily Growler locations. Those of you lucky enough to score tickets to the Grandview High Gravity Hullabaloo will also be able find Dragonsaddle pouring there. So forget about making connections with that guy who buys a pallet of Hopslam every January and head out to Hilliard on Friday to recalibrate your notion of what an Imperial IPA can be.